My Zenoss install has been working quite well, especially for monitoring Linux servers. 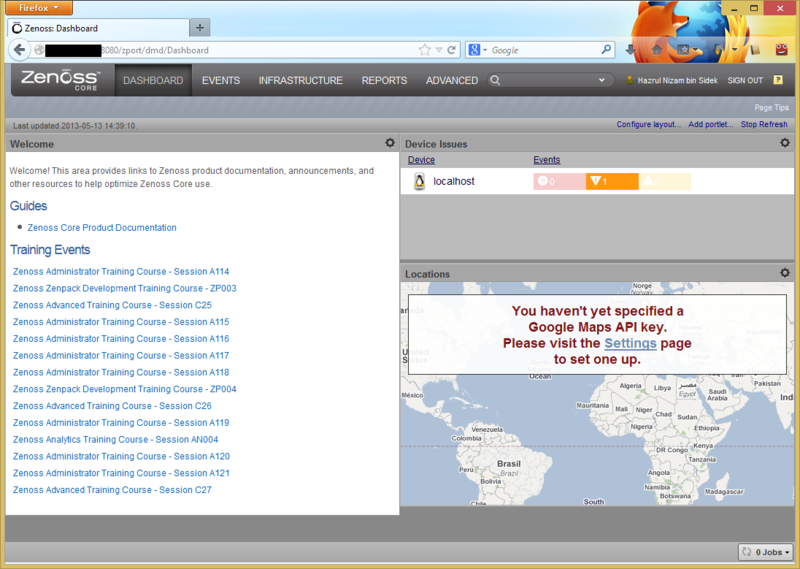 The /Server/Linux device class works great with net-snmp on Linux hosts. Windows monitoring is also working very nicely with SNMP Informant as the agent. The next challenge is to make Zenoss work with ESXi 5.1 hosts. 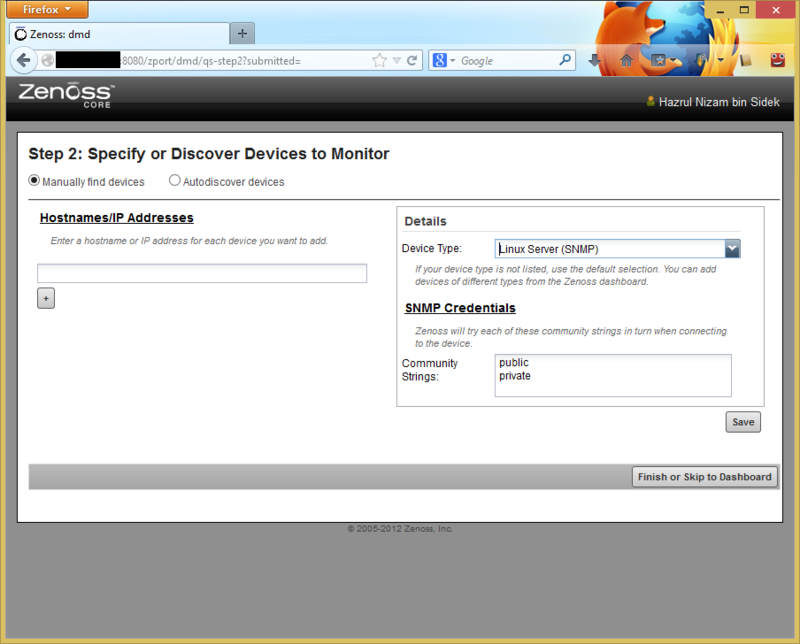 ESXi 5.1 has an SNMP agent installed, but no useful information can be grabbed using this agent. 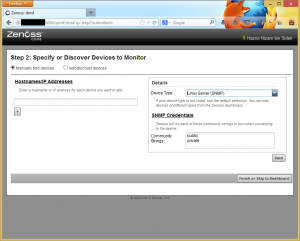 We have to use the esxtop Zenpack to effectively monitor ESXi hosts. This Zenpack will use the resxtop command instead of SNMP to fetch information. The resxtop command has to be installed into the Zenoss server via installing the vSphere CLI. The installation file can be downloaded from the VMware website. As of the time of writing, the latest vCLI version is 5.1 U1. 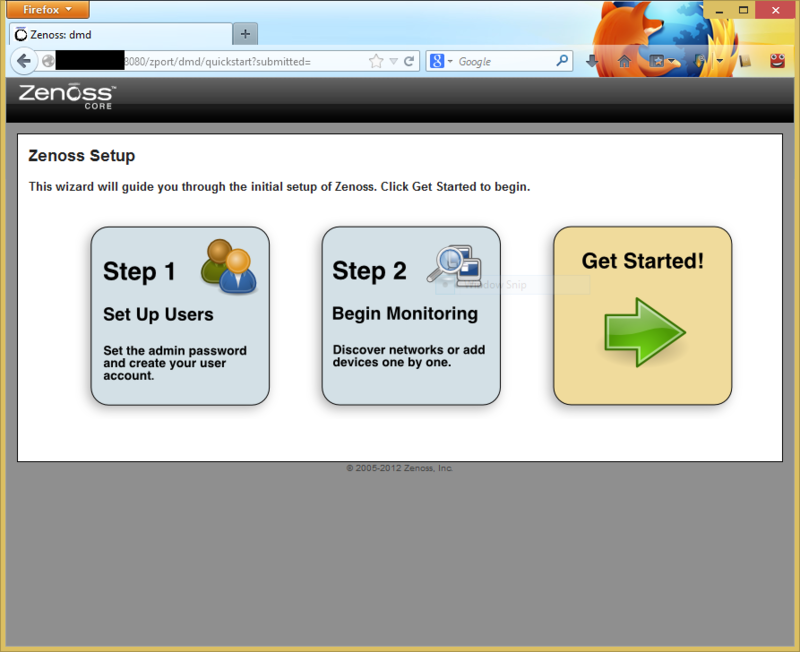 I am using instructions from the Zenoss Core Extended Monitoring Guide. First, install OpenSSL development package. Then, download the vCLI and unpack. CPAN module not installed on the system. Apparently, something called CPAN needs to be installed. A yum search shows a package called perl-CPAN, so let’s install that, and restart the vCLI installation. Oh boy. I’ll figure this one out later. Okay, so now the server is up and running, it is time to install Zenoss. First let’s go through the Zenoss requirements once again. SELinux is enabled by default and will have to be disabled manually. This is done by modifying the line ‘SELINUX=enforcing’ to ‘SELINUX=disabled’ in /etc/sysconfig/selinux and then rebooting the server. 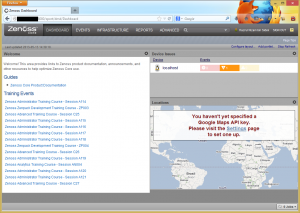 Directory /opt/zenoss is not a symlink to another location. drwxr-xr-x. 3 root root  4096 Sep 23  2011 .
dr-xr-xr-x. 22 root root  4096 May 12 23:49 ..
Let’s start installing Zenoss proper. Now let’s check the contents of zenpack_actions.txt and core-autodeploy.sh. zenpack_actions.txt contains the list of zenpacks to be installed by default. I am going to leave it unmodified. Check if /opt/zenoss is a symlink, and exit if it is. Check if MySQL has already been installed and exit if it has. Disable SELinux (I guess I did not have to disable it manually). Install Zenoss, MySQL, RabbitMQ, JRE, and rrdtool. or a prior installation attempt failed. It looks like the minimal CentOS 6.4 installation did include mysql-libs, and it has to be removed before running the Zenoss auto-deploy script. I guess postfix will have to be removed as well. Ok this is getting annoying. Let’s use yum. Ok now that’s settled, let’s run the auto-deploy script again. MySQL is configured with a blank root password. Zenoss Core 4.2.3 install completed successfully! I am quite surprised that the auto-deploy script worked so well. Now let’s modify the firewall as per the advice at the end of the installation. 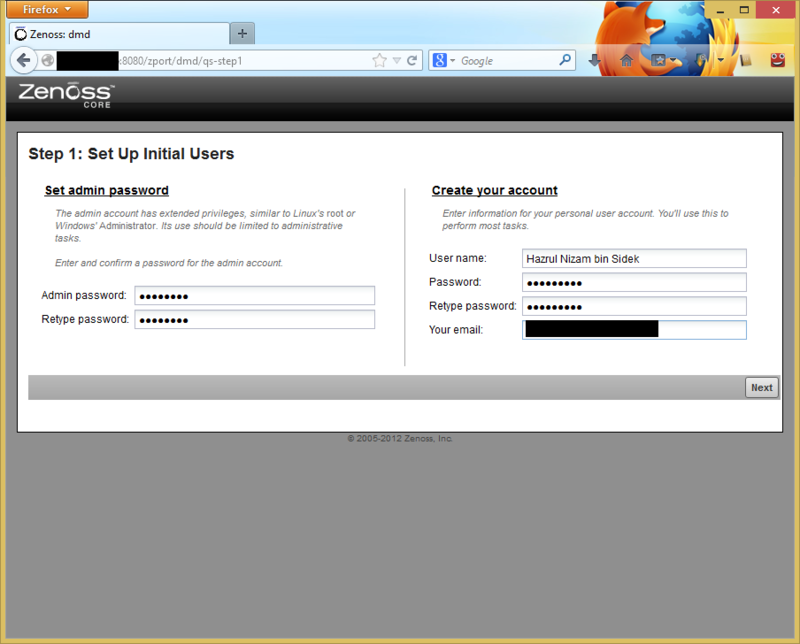 Now the Zenoss web interface should be available via http://hostname:8080. Let’s click Get Started! 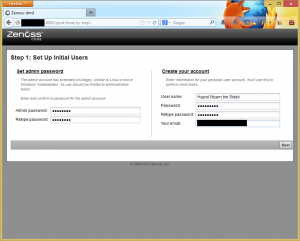 The next page asks to specify a password for the admin user, as well as creating a new user. Next comes the page where you can start adding devices. I add devices later so I’ll just click Finish. The next screen is the Zenoss dashboard. That concludes the Zenoss Core 4 installation on CentOS 6.4. Let’s start by installing CentOS 6.4. I am going to do it in a ESXi virtual machine, with 2 vCPUs, 6GB RAM, and a 300GB virtual disk. Attach the CentOS install DVD and let’s fire the VM up! Agree to discard data in the disk, since it is a virtual ESXi vmdk disk. Key in the FQDN of the server, and click Configure Network. Configure the network, in this case running on eth0. Choose a secure password for root user. Don’t forget to click ‘Review and modify partitioning layout’ as the Zenoss installation will require non-journaled filesystem for the RRD files. The default swap did not show exactly 6GB, so I fixed that. I then gave 150GB to root (‘/’), 60GB to home partition (‘/home’), and the remaining free space for the RRD files. I used ‘/opt/zenoss/perf’ as the mount point for the RRD files because that is the information given in the Zenoss installation guide. I have not checked the auto-deploy script yet, so this might be the wrong thing to do. The ext2 filesystem is used because ext2 is not a journaled filesystem. Agree to write partition layout to disk. Agree to install bootloader into sda. I choose the minimal installation, because I will not be needing the GUI and would like the server to be as clean as possible without unwanted rubbish. Click reboot to reboot the server after the installation has been completed. Installation has been completed and the server booted to the console login screen. That concludes the server OS installation. In the next post I will begin installing Zenoss proper. 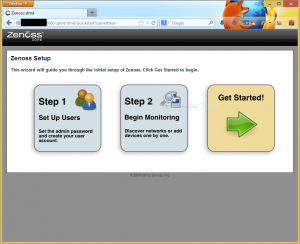 About a year ago I was playing around with Zenoss 3 as we were exploring the options for resource usage reporting. Had a go with Zenoss, Splunk, and some other solutions. In the end, we decided to go for something else, a more ‘commercial’ solution fit and worthy for an ‘enterprise’. Since then, Zenoss has launched a new version which is Zenoss 4. Our ‘commercial’ solution is moving along but is not quite done. In the meantime, I want to come up with a quick monitoring dashboard so that I can do my job (system administration) better. So, I decided to have another go with Zenoss. First, let’s start with reading the installation guide and see what the requirements are. Requirement number one: Zenoss runs on RHEL/Centos. Good, I like rpm-based linux. Ok, I will probably use this on 200+ devices, so I think I will need 6GB and 2 cores. Requirement number three: Non-journaled filesystem for RRD files that will be located in /opt/zenoss/perf. The Zenoss installation guide contains installation instructions for RHEL5 and RHEL6. I am going to install CentOS 6.4 as that is the latest version to date. A quick google search reveals that nagios-plugins can be installed using yum, but it will involve a third-party repository, which I am uncomfortable doing. Erlang looks like it will be installed together with RabbitMQ, but I cannot be certain at this point. I am quite disappointed with the installation guide, but hey, that’s what you get with free things. This hiccup brings me back to the Zenoss website. Hey what’s this? An auto-deploy script? Ok, let’s use this instead. This will be continued on the next post.